At “Onsdagsmam”, my aunt offered my a copy of some an picture she found and had made replicas of. For your viewing pleasure I have scanned it. 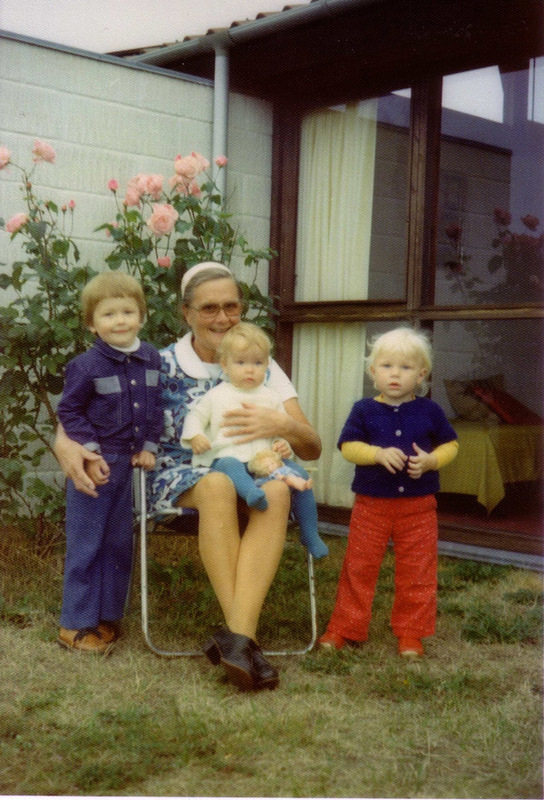 Featuring (From left to right): Me, my grandmother holding my sister Charlotte and my cusin Karen Marie. The picture is taken in front of my grandmothers summer house, now owned by Charlotte. My guess would be that it is taken sometime durring the summer of 1977 or 1978.